"State's consultations thus have been acknowledged that they are now well suited to the deadline and we are working on it," said a senior Democratic Hill aide. A senior Senate staffer said that "there has been zero" engagement with Congress on the issue beyond the notification in November that Russia had failed to certify that it was not using chemical weapons. That announcement was meant to be accompanied by at least an announcement of a second round of sanctions – but three months, later they have not been imposed. Sen. Jeanne Shaheen, a New Hampshire Democrat on the Senate Foreign Relations Committee, criticized the administration's inaction. 1; it's hard to overstate how brazen this behavior is. There's overwhelming bipartisan agreement that the Kremlin should pay a heavy price and the law is crystal clear in this respect. It's time for some follow through. . "
Once the US determined that the Russian government was behind the poisoning of Sergei Skripal with VX nerve agent last March, an attack that also affected Skripal's daughter and others, the US responded to sanctions on certain technology, required under the Chemical and Biological Weapons Control and Warfare Elimination Act of 1991. Russia then had 90 days to certify to the US that it is no longer using chemical weapons, and allow inspectors to prove it – or it would face a lot tougher of sanctions, that could affect banking, trade or even diplomatic relations. But when – not surprisingly – Russia failed to meet its requirements, no new penalties were imposed. Instead, State Department spokesperson Heather Nauert said in a statement, "The department is consulting with Congress regarding next steps as required." Deputy spokesperson Robert Palladino noted, "We are required to start coordination and consultation with the United States Congress, and that's something that we will do, "that was" no timeline associated with these consultations. " The State Department did not immediately reply to a CNN request for comment on this story. A senate staffer tells CNN that, to this day, "the administration did not tell us how they planned to impose sanctions." A readout from Secretary of State Mike Pompeo's call with Russian Foreign Minister Sergey Lavrov Wednesday did say that the secretary "reiterated the US determination to hold Russia accountable for its use of a chemical weapon in Salisbury, UK through sanctions as required by the CBW Act." Both Sen. Shaheen and Sen. Bob Menendez (D-NJ), the top Democrat on the Foreign Relations Committee, has written to the State Department on this matter. Meanwhile said, "Trump's willful paralysis in the face of Kremlin aggression has reached a boiling point in Congress. 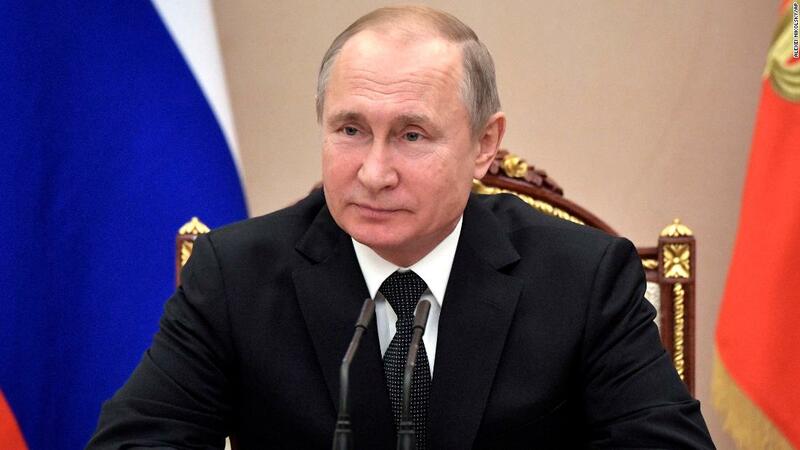 Putin's actions cannot be tolerated, and the consequences of inaction are quickly compounding – further humanitarian disaster in Syria, regional instability. , kidnapping of Ukrainian sailors and seizure of ships, and the steady erosion of international norms. " 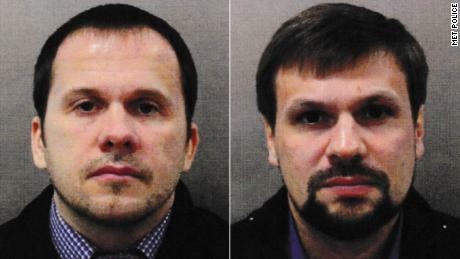 Frustrations around the Skripal inaction and the administration's soft handed approach to Russia appeared to come to a head on Wednesday with a bipartisan group of senators proposing a massive bill aimed at countering Russian malfeasance. The bill would force the administration to assess whether Russia is a state sponsor or terror. It would also require a two-thirds Senate vote if Trump decides to leave NATO, a report on Russian President Vladimir Putin's net worth and assets, and title insurance companies in the US to report information on who owns entities that buy high-priced homes here – as well as would hammer Russia with a host of additional sanctions and new ways of cracking down on Russian disinformation and cyber-crimes.